InterServer easily comes up as a credible portal for VPS hosting services in the contemporary hosting scene. Running for more than one and a half decades now, the leading web host is especially recognized for its distinct technology and versatile choices in both software and hardware options. The company is armed with its exclusive datacenter, fiber network nationwide and builds its own servers and customized Linux kernel. The company handles each of the facets of hosting on its own assuring a credible VPS hosting support always. No wonder, why it is a trusted name among the Fortune 500 companies and individual freelancers. Here is a comprehensive review on VPS hosting services from InterServer. This is one of the most remarkable features of InterServer VPS. It has come up with a rare-to-find facility of a huge and versatile choice of OS options. Both Windows & Linux hosting services are approved by the company. The different OS choices at offer here include CentOS, Ubuntu, Debian, Suse, Scientific, Fedora, Cern linux, Slackware Open Wall, Funtoo, Altlinux, Windows 2008 R2 and many more. InterServer VPS service assures optimum visibility of the client’s site over the fiercely competitive ecommerce zone. With a strong guarantee of 99 percent uptime, the VPS service here is being rightly dubbed as one of the most commendable in the industry. InterServer has always been one of the most esteemed industry leaders when it comes to data storage. With its own strong data center, fiber network throughout the nation and own servers, the NJ based major hosting provider guarantees high performance & redundant data storage with its VPS plans. InterServer VPS hosting service is meant to support the users with a convenient program. The company offers 2 highly popular and user-friendly control panels for Linux VPS services- cPanel & Direct Admin. There’s no control panel for Windows. The VPS hosting plan from Intersever ensures a quick job with its installation and deployment. The company allows for automatic installation of the VPS hosting OS. Moreover, it will just take 15 minutes to deploy the server. The VPS plan at offer from InterServer comes with a fully managed backup. The company manages whatever it installs – be it the OS or control panel or FTP or mail or web server & so on. 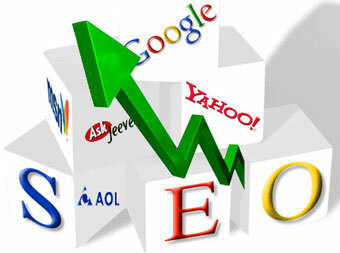 This is certainly a major reason behind the vast client base of InterServer. The NJ based hosting company has been able to set itself apart in the market, thanks to its cheapest Beginner’s VPS package. The intro-level VPS package hits off from as low as 6 USD per month. 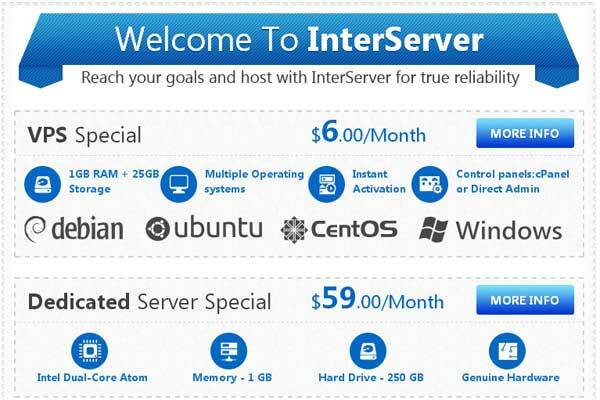 Added to a very affordable pricing, InterServer VPS package carries quite a decent discount facility. The company is offering a 10 percent rebate program for a one-year payment plan during sign-up. Albeit there’s no cash back guarantee or free trial offer, clients can go for a monthly payment basis where they can cancel their account any month in case of service dissatisfaction. InterServer values its customers and hence has come up with a 24/7 client support facility. Technical emergencies are unforeseen and thus the leading VPS host has promised prompt attention whenever the client is stuck with an issue, be it in the wee hours or midnight. InterServer VPS services are available in 3 platforms – Cloud, OpenVZ and KVM. Cloud VPS: The cloud VPS service supports all OS and swap space. It’s flexible with true VM isolation and backs up disk cache as well. KVM VPS: It’s somewhat akin to the cloud plan. The KVM VPS platform supports all forms of OS, true VM Isolation, disk cache and swap space. OpenVZ VPS: The OpenVZ VPS service allows Disk resize, rebootless upgrades, disk cache and lowest overhead. However, unlike the other two, it cannot support all the OS, true VM isolation and swap space. The InterServer VPS hosting service carries one free Public IP address, Ipv6 addresses as well as instant root access facility. The users can upgrade to quick SSD storage, Direct Admin or cPanel, additional IPS and Softculous or Fantastico. 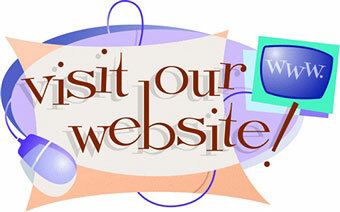 In addition to VPS hosting service, InterServer has also come up with dedicated hosting services. It offers many unmetered features such as unlimited domains, disk space, data transfer, email, sub-domains and FTP.